Dr Richard Bayley is an interesting case study as far as Founding Fathers go. He sided with the British during the war, but his dedication to medicine and the City of New York led to his participation in the development of healthcare practices in Manhattan. Richard Bayley traveled from Colonial America to England as a young man to study medicine. Upon his return in 1777, Bayley joined the British Army as a surgeon. It is hard to determine why he made the decision to join the British. By this time, the redcoats had occupied New York City, where Richard and his family lived. It seems to me he may have just wanted to gain experience as a doctor, while giving himself the best opportunity to get back into British occupied NYC. Soon after joining the war, his wife became sick and he returned home. Richard would not participate in the hostilities again. Bayley’s decision to side with the Loyalists does not seem to have affected his career. New York City was always a hotbed of British sympathizers and they were generally not treated as harshly there in as they were in other States. Over the ensuing years, Bayley became one of the most respected doctors in the city. He focused mostly on helping the poor. Richard became an expert in amputations, cataract surgery and yellow fever. Furthermore, he taught anatomy at Columbia University (then King’s College). In 1788, Richard Bayley found himself embroiled in the New York City Doctors Riots. At the time, medical students would steal recently buried bodies to dissect. This was a common practice for aspiring physicians though (understandably) looked down on by most people. One of Bayley’s students, John Hicks, was dissecting an arm when he decided to waive it at some children who were playing outside his laboratory. Apparently, he told one of the boys it was the arm of his recently deceased mother. The response from the community is predictable. The boy told his dad who then led a large group of citizens to riot outside Bayley’s office. After days of rioting, Governor George Clinton called in the militia to suppress the violence. In the aftermath, new laws were put in place offering severely harsh sentences for ‘body snatching.’ To make sure the students could still learn, criminals who were put to death were given over for dissection. His career still unhampered, Richard Bayley would later be named the first Health Officer of the Port of New York. In this position, he set many precedents. Bayley was permitted to quarantine anyone arriving on ships carrying more than forty people. In this effort, Richard dramatically lowered the spread of deadly diseases in the city. Richard Bayley, although not a large player in the American Revolution, brought major changes to the way health was perceived in New York City. As it grew into a leading city in America, Bayley’s practices slowly spread to many of the other States. For a new Founder straight to your inbox every day, subscribe to my email list! Don't forget to follow me on Instagram as I will be using it to document my adventures in Portsmouth, NH this week. 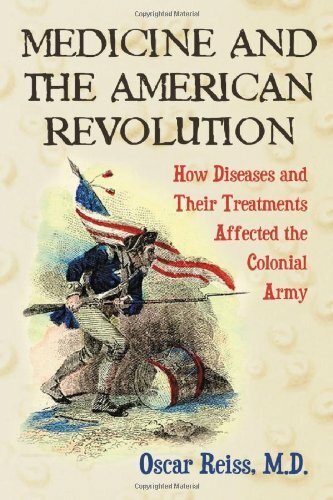 If you'd like to learn more about medicine and the American Revolution, pick up a copy of 'Medicine and the American Revolution' through our affiliate Amazon.